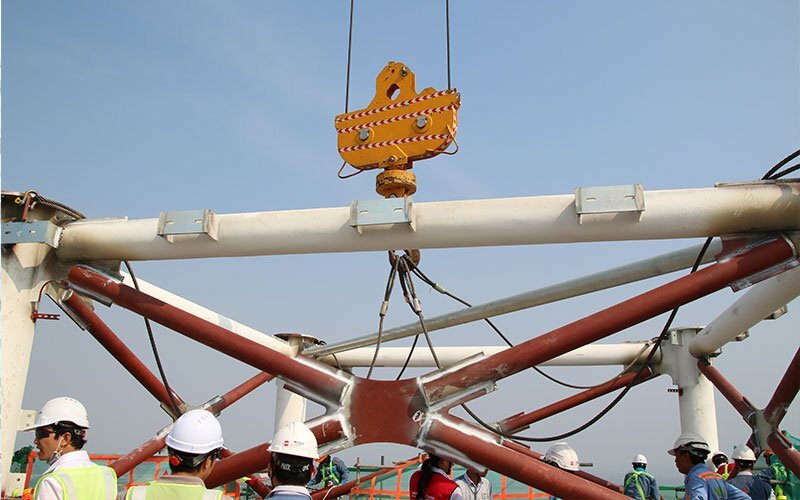 On 24th March 2018, QH Plus implemented the installation of steel core construction (Spire) system on top of Landmark 81 building roof, this structural part has a height of 61 meters and weight 160 tons, helping the tower reach the record height 461 meters, become one of the tallest towers in the world. 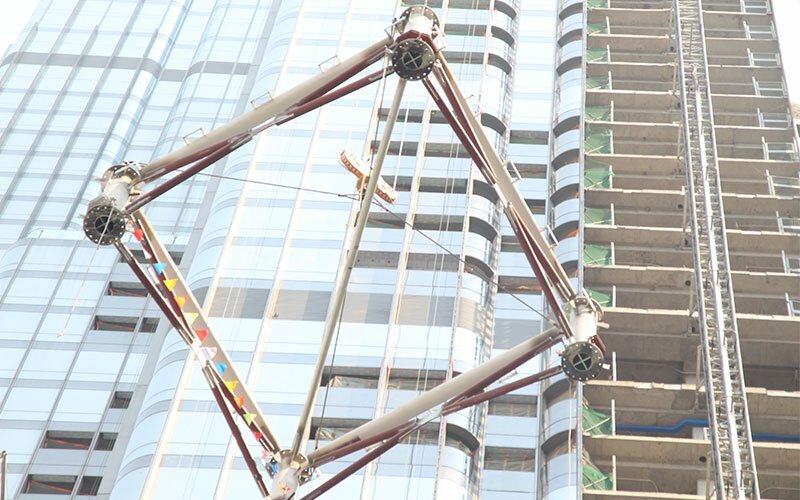 With the record 461 meters high, Landmark 81 Tower uses many large, complex and special steel core that never had before in Vietnam and QH Plus is the unit to carry out these structures. The solid framework of the building uses a spire structure with total volume of 500 tons, each component reaches more than 20 tons. All were machined by QH Plus at the factory and commissioned many hundreds of meters up. 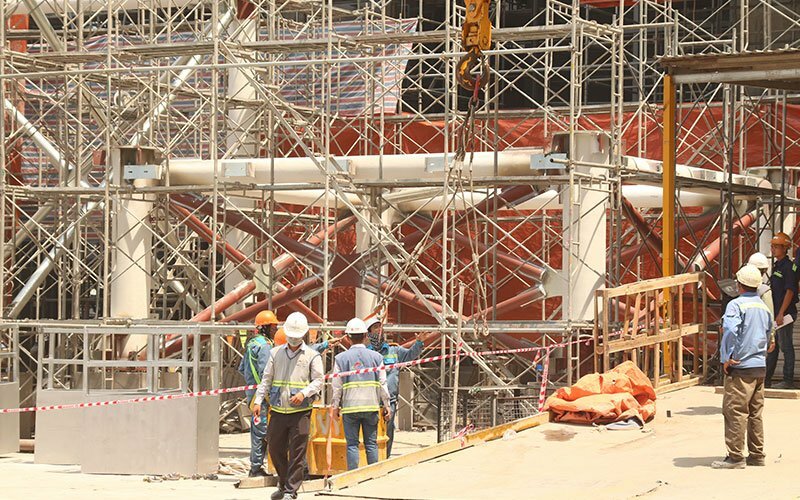 Construct and install the system is the final work and also the work of finishing the structure of the building. 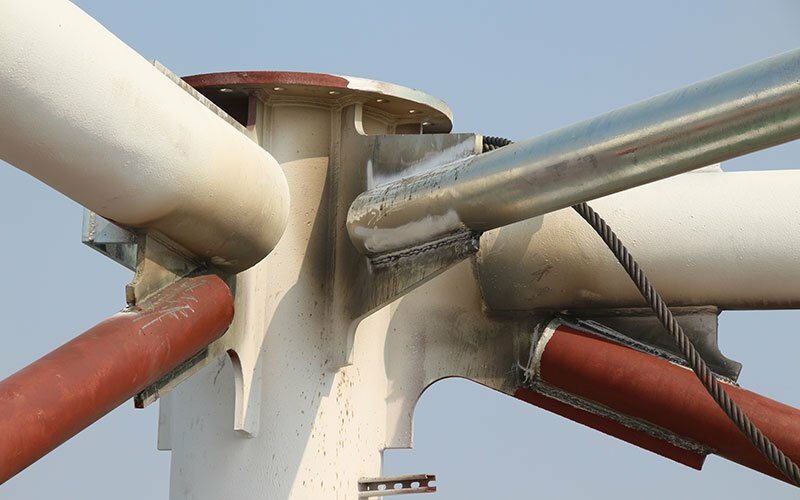 The roof top component has special design with a great volume, so the process is quite complicated and must follow the technical requirements strictly as well as the quality assurance. 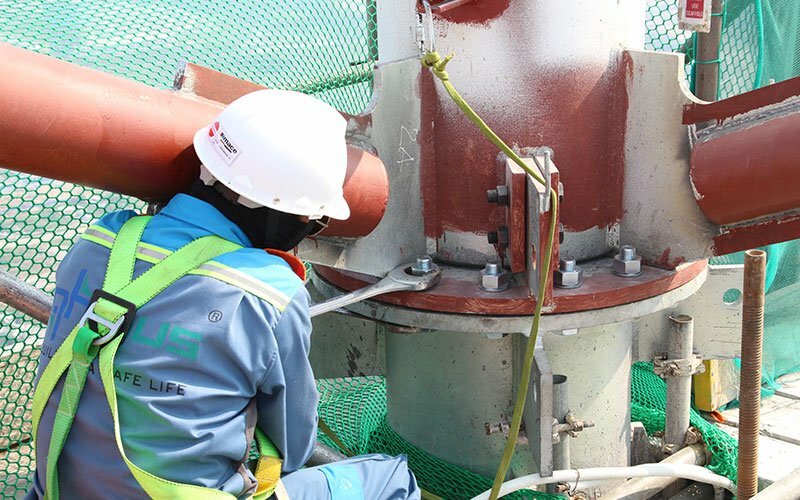 Besides, the construction and installation of the huge component at the height over 400 meters requires high technical level and observe all safety regulations. 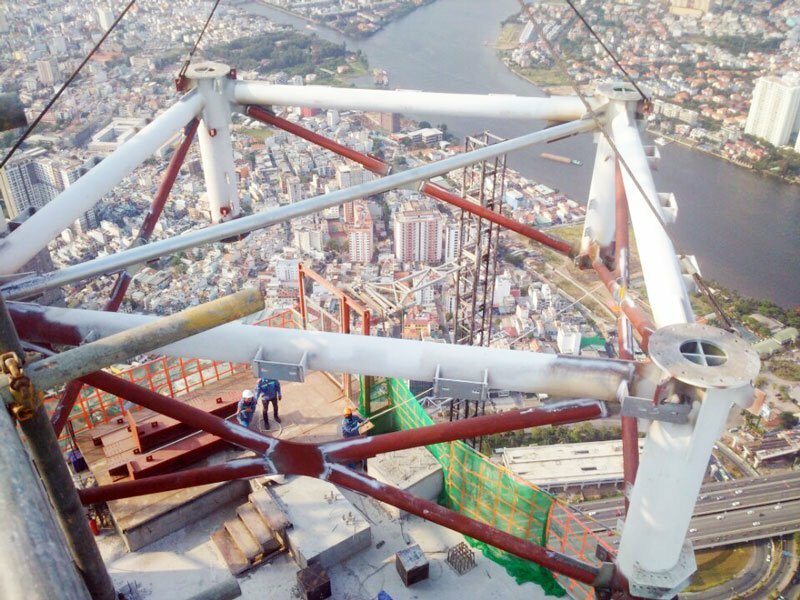 Have a chance to cooperate with Vietnam record project - Landmark 81 is the pride for QH Plus and this achievement is also the testament of steel core system process capability of QH Plus.